Wow! Fantastic! Very impressed with the high quality of my silk duvets and pillows. Fabulous, couldn't be more light and comfortable. OEKO-TEX Standard 100 “Confidence in Textiles” Certified. 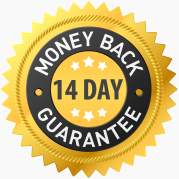 14 Days Full Money-Back Guarantee. Dispatched from UK. Worldwide Delivery. The most comfortable and most luxurious night's sleep ever... Every night... Waking up bright, refreshed and invigorated... SBD Mulberry Silk-Filled Duvets, Pillows and Toppers simply cannot be beaten... Try them and you will know too! Sleeping within Silk Bedding Direct's Luxury Range mulberry silk-filled duvets, mattress toppers and pillows is the ultimate in bedtime comfort. Wicking away moisture and heat on warmer nights yet keeping you snug and warm on colder nights, our Luxury Range silk-filled bedding sets completely encase you in wonderfully comfortable, hypoallergenic, and 100% natural mulberry silk. The mulberry silk's naturally occurring amino acids and proteins also help your skin stay young-looking and healthy, and nourish your skin and hair while you sleep. Absolutely top grade long-strand mulberry silk and meticulous attention to detail during production. 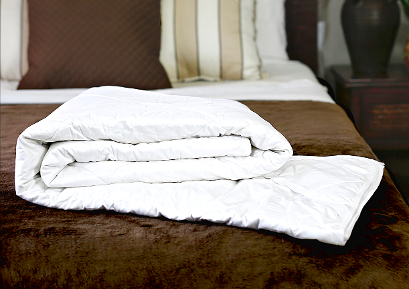 All Luxury Range duvets include specialist traditional hand-finishing for extra comfort. All silk bedding is OEKO-TEX Standard 100 Certified and has the “Confidence in Textiles” OEKO label attached. Click on your choice of bed size below for more details and to see the fantastic sale prices currently on offer. The very best 100% natural and hypoallergenic long-strand mulberry silk is hand stretched into a luxurious 300 thread count cotton sateen casing. To prevent movement each silk duvet is then carefully loop-sewn and tied by hand through the casing. This prevents the silk inside being crushed and damaged. Ensuring perfect protection for the precious silk interior creates a superior quality mulberry silk-filled duvet as compared to machine sewn silk duvets. It is seemingly small attentions to details such as these that contribute to making a big and noticeable difference to the quality and comfort of the finished duvets. The Premium Range was developed due to customers requesting a high quality, genuine mulberry silk-filled duvet at a lower cost as compared to our rather high-brow, but absolutely the best on the market, Luxury Range. As many of the best features as possible have been maintained from the Luxury Range - 100% mulberry silk interiors, and the same great attention to detail is paid during their production. We firmly believe these to be the very best “Price for Quality” for silk-filled duvets with a genuine 100% mulberry silk interior available anywhere. As with our Luxury Range silk duvets, luxurious 100% natural and hypoallergenic long-strand mulberry silk is hand-stretched into the mattress topper casing. Our specialist production method ensures that the insulating layers of air between the fine silk threads are kept in place properly without crushing or damaging the silk. 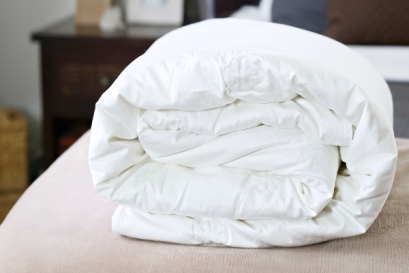 Using this method creates a more comfortable, luxurious and higher quality silk-filled mattress topper. Great for your skin and hair too. Again, as many features from the Luxury Range as possible have been maintained to create these high quality, lower cost, silk mattress toppers. The interiors are 100% genuine mulberry silk, complete with a soft and durable fine cotton sateen casing. Made in the same production facility and passing through the same exacting quality control process as our Luxury Range. As with the Premium Range silk duvets above, we firmly believe these to be the very best “Price for Quality” for silk-filled mattress toppers with a genuine 100% mulberry silk interior available anywhere. Totally natural and hypo-allergenic too. The top grade long-strand mulberry silk within SBD silk pillows contain silk strands up to a kilometre long! - used in their natural state directly from the silk cocoons. Being 100% natural and without chemical processing means the silk remains rich in the natural amino acids, possessing anti-ageing properties that are great for our skin and hair. Five different sizes of silk-filled pillow are available. 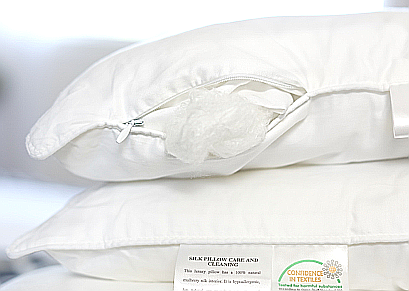 What could be better than resting your head on a silk pillow with such beneficial properties. Wonderfully comfortable, hypoallergenic and totally clean too – unlike many other bedding products microscopic life cannot live in mulberry silk. Silk Bedding Direct is a UK company that deliver worldwide. Our mission is to provide luxurious mulberry silk-filled duvets, mattress toppers and pillows produced to the very highest quality available today. Our customers repeatedly tell us we are succeeding. Absolutely the best long-strand mulberry silk and hand-finished duvets for our Luxury Range. The highest standard of production for both our silk bedding Ranges including Best Price for Quality assurance for genuine mulberry silk-filled bedding. All our silk bedding is OEKO-TEX Standard 100 Certified and has the OEKO “Confidence in Textiles” label attached. Clear pricing, orders dispatched from within the UK on same or next day of placing your order. Complete full money-back guarantee, including return delivery cost. Low cost UK and worldwide courier delivery options at checkout – our silk bedding is regularly dispatched to Ireland, Germany, France, Switzerland, Spain, Italy, Norway, Finland, Sweden, Denmark, USA, Canada and other countries around the world. Top quality genuine mulberry silk-filled bedding is our specialism. We promise you won't be disappointed. Luxury Silk-Filled Bedding Sets. Naturally Hypoallergenic. “Hi, I just wanted to let you know that I am over the moon with the 2 duvets I have purchased from you. I had been suffering from overheating due to a memory foam mattress and the use of a synthetic duvet, and after a few weeks using your silk duvet I can only say that it has changed my nights!" “ I recently purchased a king size quilt from you which I love and a client of mine (I am a physiotherapist) has now also purchased one from you! Many thanks." “I just wanted to say that my Mum says that the duvets are wonderful - arrived in a lovely package and so light and lovely and warm - like sleeping under thistle down - the best present. Thank you for your help. " “Thanks for the courier information, the duvet has arrived safely thanks you (quickly too). I took it out of the bag and put it on the bed last night, delightful to sleep under, I noticed a big difference compared to my usual duvet, really light and comfortable. I think I got a good bargain here!"